It would make sense that besides being one of the most prolific and iconic pioneers of modern art, Andy Warhol would have accumulated a lot of, for lack of a better term, stuff in his lifetime. In 1988 an historic auction took place in New York City, as Sotheby’s amassed 10,000 items of Andy Warhol memorabilia from his personal collection. 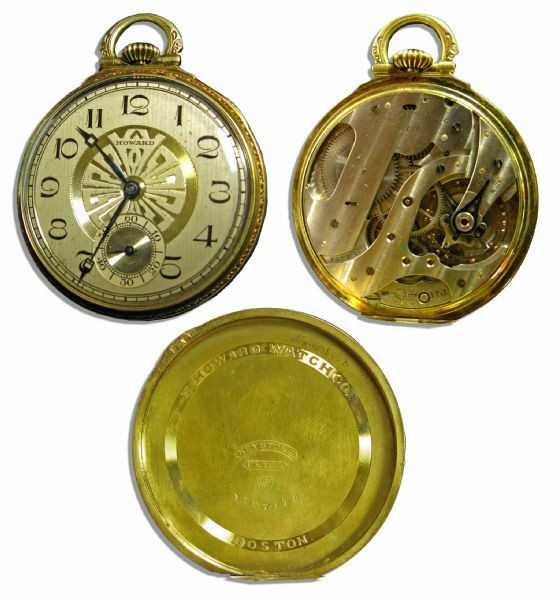 The first is Andy Warhol’s art deco pocket watch — still fully functioning — 17-jewel-movement watch, gold plated, is engraved on the interior “E. Howard Watch Co. / Boston” and “Keystone Extra”. 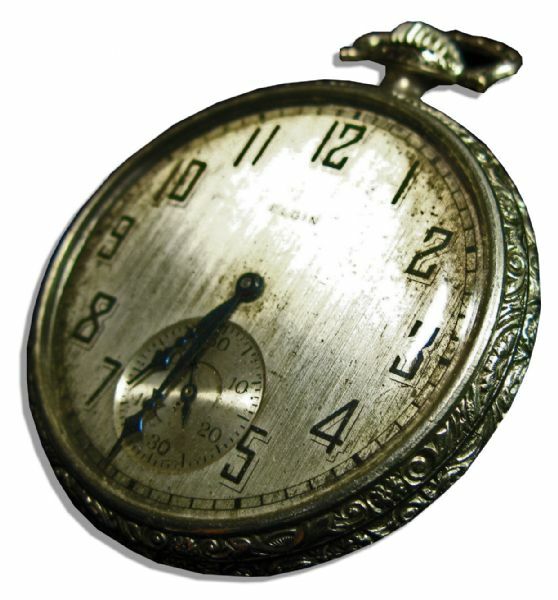 The second is this Personally owned Andy Warhol “Elgin” silver pocket watch, again from his 1988 estate auction. This item includes a color copy of the front page of the Sotheby’s catalog, as well as the lot listing. 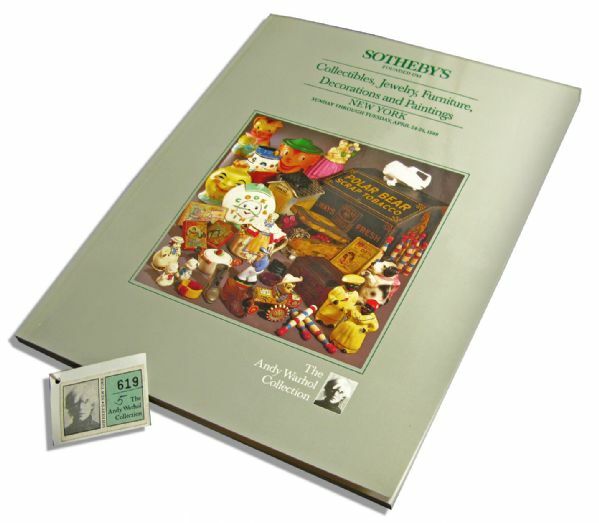 The catalog is in and of itself of value, as the 10-day auction of 10,000 items from his collection fetched $5.3 million, or more than twice Sotheby’s expectations. It’s known that Warhol was a rampant shopper and collector, keeping all of his beloved curios in his apartment in uptown NYC. From 1974 on, he lived in a six-story townhouse with collections in boxes that he never unpacked. For the next 12 years (until his death last year), he continued to accumulate until only the kitchen and one bedroom functioned as anything other than storerooms. His personal art collection at the time of auction is incredible: 1,659 pieces of Russel Wright pottery, 267 watches, 72 Navajo blankets and rugs, 61 lots of early 19th-Century American furniture, 37 Art Deco cigarette cases, 33 works by Man Ray, 18 by Marcel Duchamp, 12 Rauschenbergs. Good post but I was wanting to know if you could write a litte more on this subject? I’d be very grateful if you could elaborate a little bit more. Cheers!